Thirty-two is how many years old I was when I had Arlo, who turns seven on Monday. Maybe it’s just that I’m a moody sort of person, but the moodiness of age 7 really suits me. It is self-conscious and insecure, sometimes, with a lot of introspection and ‘being alone in [my] room’ (much to Eli’s chagrin)(I mean fury). There’s a sweetness, still, and generally* not as much nastiness. *except where his brother is concerned, where there’s always room for nastiness! Who’s got room for MORE NASTY? That’s what I thought, all you siblings. Several times in the past few weeks, something Arlo has done has made me cry and realize that all the talking and talking and modelling appropriate behavior and talking and explaining and patience (and sometimes not patience) does pay off. SEVEN IS THE GOLDEN AGE, THAT’S ALL YOU NEED TO KNOW. He’s not perfect. But he’s a damned fine human. 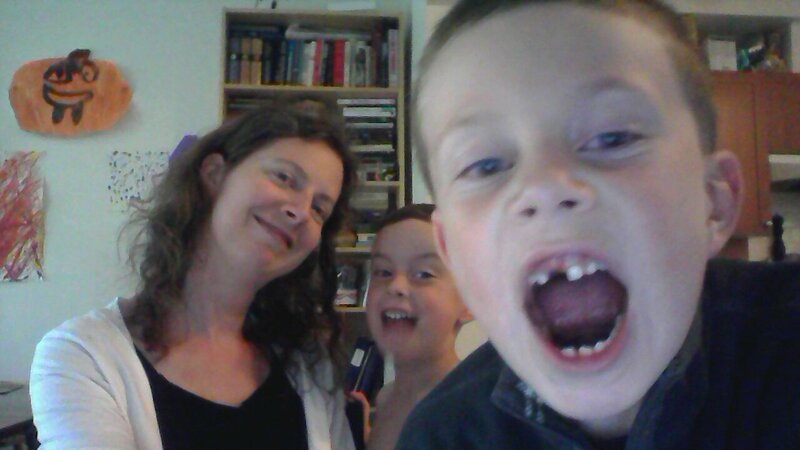 This entry was posted in Uncategorized and tagged awesome, seven year olds, the parenthood on June 30, 2013 by branch. Maybe you thought I was joking yesterday when I said I would take pictures of my water bottle. Well, friends, I spent the whole day with the kids and their moodsand I need to go drink some medicinal wine on the couch. 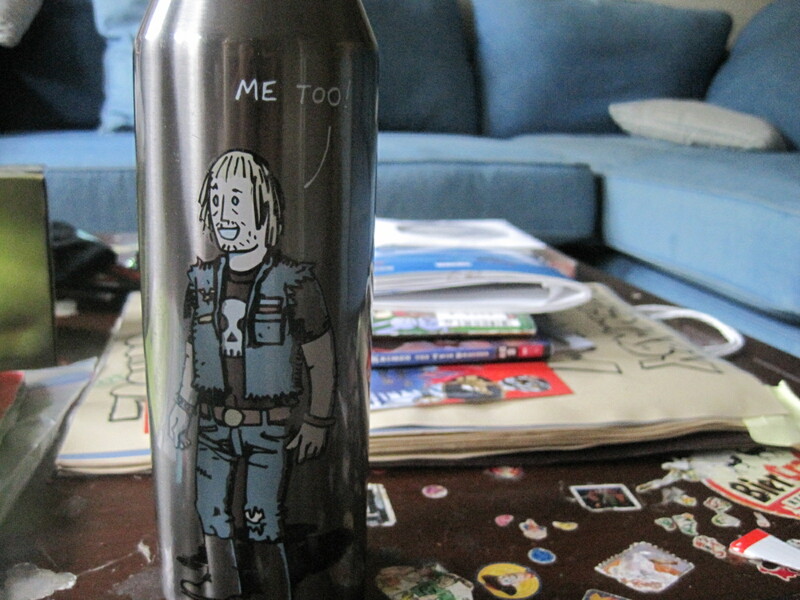 Yes, you really do get to see pictures of my water bottle! Lucky. And only two bucks! I would have paid at least five. This entry was posted in Uncategorized and tagged awesome, deep love, shopping on June 29, 2013 by branch. Today was the last day of school for Arlo. Technically it was only 2 1/2 hours of school. We all stood around outside the school at 11:30 going ‘what do we do now? Do we go home? And? Then? What?’ It was raining, so that didn’t help. Hopefully it all comes back to me. – Sunscreen — whatever’s handy. 30 spf for my face all year ’round and whatever doesn’t smell like coconuts for the rest of my body. – Children’s sunscreen — the spray-on kind, not too smelly, not too cold, not too sticky you get the idea. – I suppose I should check the status of my bathing suits as I have a tendency to buy halves of two pieces when I see them for cheap and then end up with yellow bottoms and black and white tops. I know! Travesty! – Water bottle. 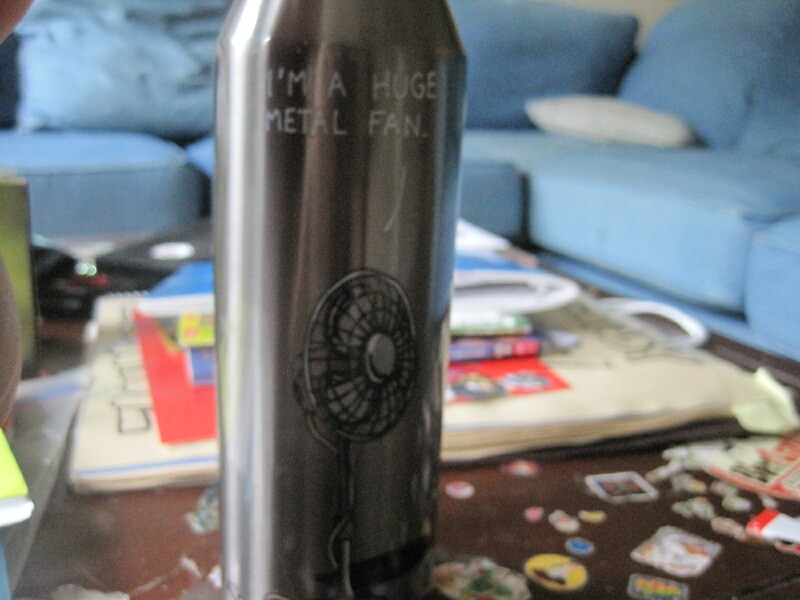 Have you guys seen my new (late summer 2012) water bottle? I’ll take a picture of it for you tomorrow. – Heel file because my heels are made of coral. They’re so hard and mean they held up a gas station last week, just for free twizzlers. How embarrassing. – Deodorant! And hair oil goop stuff so my hair lies down a little bit each day. My hair needs its rest. – Music. Lately, the children have become obsessed with SONIC HITS the local HIT STATION that plays all THE HITS. They are starting to chafe my nards with this, actually. I turn the key in the car’s engine and the radio hasn’t even come on yet and Eli says “Is this SONIC HITS?” Are they paying you to listen? I don’t think so. Settle down, Beavis. – Tiny vacations, even if they are just in my tiny brain. Happy, happy summer! I hope! This entry was posted in Uncategorized and tagged beer, blogging, five year olds, holiday?, listy things, seven year olds, the parenthood on June 28, 2013 by branch. I was reading NurtureShock last week, approximately six years behind everyone else, and something stuck out for me. The concept of praise. The research says –I am too lazy to cite here– that when we praise for ability instead of effort, what we get is children who only feel successful as long as they are praised, or until their ability ceases to exist. If we praise for effort, we get children who want to make an effort because the reward is the same; whatever that effort’s reward would have been anyway. It makes sense. Even as an adult, what can you say to a compliment like “You’re so tall! I wish I was tall!” Yep. Tall. I had nothing to do with it. Now, I said I would write 100 blog posts in 100 days and I missed one day I think so far but I never said I would stop if no one commented. I love comments, we all love comments, but I find it hard to find the time to comment on all the blogs I used to read / still read. I get it. It’s part of the give and take of blogging; we write for ourselves and others and we read to connect with those others and some days there just isn’t time to write and read and comment and make dinner. As I work on effectively praising my children so they don’t give up when faced with algebra someday, I’m trying to also be more conscious of how I talk to myself, and how I rally my internal support system. without waiting for someone to tell me I’m great, they like me, they approve. So: no comments! I want to keep going without your support! This entry was posted in Uncategorized and tagged blogging, lessons my challenging children taught me, my navel is awesome, pals on June 27, 2013 by branch. Eli and I were driving to the store today, to look for maple leaf-shaped baking pans. Arlo’s 7th birthday is Canada Day and I thought I might make him a cake for the first time in 7 years but like all my ideas, this one is harder to execute than you might expect. Canada Day may as well not be happening at Michaels Craft Store and Winners/Homesense. “Yes, I remember,” Eli said. I turned left at the corner. “It’s too bad you can’t come in my brain and see the pictures too,” he said. “It is too bad,” I said. I laughed out loud, even though Eli doesn’t like it when you laugh out loud because he hasn’t figured out yet if you’re laughing with him or at him. “I’m laughing because it’s a great picture in *my* brain now. Of your big brain and your little brain,” I explained. “It is kind of funny,” he allowed. 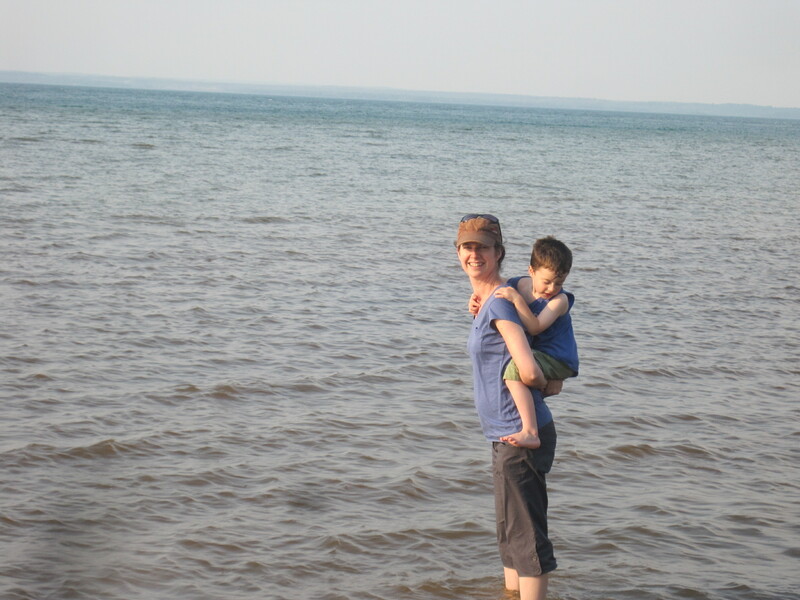 This is one of my favourite pictures (in my brain) of our trip to Ontario last summer. This entry was posted in Uncategorized and tagged five year olds, holiday?, rain. sigh., the parenthood on June 24, 2013 by branch. Twenty-Seven — Why Are We Here? Ginger is doing a weekly prompted bloggity thingeroo .. you can participate too, if you want! I am going to answer both prompts because the first one is a very short answer. Prompt one: Why did you start blogging? A: I started blogging because I wanted people to read my words. Prompt two: What is the best decision you ever made? So much waffling. What IS the best decision I ever made? Moving to this townhouse, to the city of New Westminster, which seemed like an OK decision at the time, actually turned out to be a great decision. Having children was a pretty good decision, but I’m not sure it was the best ever. Career-wise, there haven’t been many great decisions, other than quitting the job with the creepy boss. I think the best decision I EVER made was to move out on my own when I was 19. It was 1993 and I had just finished my second year of university. I lived in Burnaby and went to school at UBC, so my bus trip was an hour each way. I spent a lot of time on the bus, scribbling in my journal or listening to my big, yellow Walkman and staring out the window at Hastings, Granville, Broadway, 10th Ave. I was starting to really resent my overprotective father. While I was in high school, I complained bitterly but never really rebelled against the house rules. But when I got to UBC and started meeting new people, people I hadn’t known for five or ten years already, people who listened to grunge and electronica and folk music instead of top 40, people who wore cut off jeans, tights, combat boots, people who dyed their hair and pierced their faces and had tattoos and wrote poetry and made films…well, I desperately wanted to be a part of it. That life. The life that started with me being able to stay out past 10 pm. In June, 1993, I blew away all the treaty negotiations. I decided it would be a good idea to celebrate writing my last exam of the year by drinking a lot of vodka and grapefruit juice in Stanley Park with my friend. Obliteratedly drunk I arrived home well before curfew but that didn’t matter as much as the fact that I was dropped off by a strange man in a pickup truck who had rescued my friend and me from the railroad tracks below Gastown. Apparently we had been wandering on and off the tracks, my friend had a hammer, and the guy with the truck –Bill, I think?– took pity on us and drove us home. Whooee! was I in trouble. And rightly so. I had to go to my brand new part-time job at the cheese shop the next day with a wicked hangover and that was nearly punishment enough. As part of the fallout from the “discussion” that ensued, I declared that I would move out of the house that summer and get my own place. Dad said, “No you can’t.” Having a bit more than a little of his stubborn blood in my own veins, that was all I needed to hear. In mid-July, my friend Joanna and I moved into our two-bedroom suite in a house at Main and 22nd Street. A month later, Sarah joined us and we were an amazingly big-haired trio of roommates for a year, after which we went through roommates and new apartments for a few years before settling down with our significant others, to whom we are all now married. When I moved out I didn’t have any real plan, other than I would work at my job selling cheese and pay my rent and tuition and for food and drinks. Jobs came and went, tuition got paid, albeit more slowly than it had when Dad was paying it, and it took me an extra couple of years to get the credits to graduate, but I did. Eventually. I learned how to survive; how to cook, clean, give notice on an apartment, quit a job, look for a new one, accept the kindness of strangers, be good to my friends, manage money (eventually..this was a very steep learning curve), maintain the relationships I needed to maintain and release the rest. What I experienced living on my own made me into the person I am today; someone who understands that ordinary people make mistakes and deserve forgiveness and second, third, fourth chances, myself included. Someone who isn’t scared of smelly people, who sees something interesting in every conversation. Someone who has at least seen how the other half lives and knows how close she came to that poverty line, how close she was to crossing it. I was young and stupid and lucky. I could easily have ended up on the other side of that line. If my parents hadn’t forgiven me, mellowed, held their tongues, invited me for dinner every few weeks, helped me move. If my friends hadn’t lent me money or fed me booze when I needed it, if, to start with, I hadn’t been young and white and educated, with all the privilege that those afford a person. God watches over drunks and idiots; double-plus if you are both? The most important thing I learned was that the real world is indeed a dangerous, wonderful place, and that I could handle it. And the place where I hold all those lessons; the practical ones like how to budget and the people ones like how to talk to people on the bus, is the place I will draw from when my kids are out in the world and I’m scared for them. The world is a dangerous, wonderful place, and they can handle it. This entry was posted in Uncategorized and tagged bring back the words, my navel is awesome, pals, the parenthood on June 24, 2013 by branch. There are those days when your face feels like an avalanche. Bright smiles and happy eyes (smizing!) start the day and then, several hours later, you find yourself recounting the afternoon’s events to your partner and feeling rather like you might be taking down every tree and sweet meadow flower in your path. SNOW IS COMING DOWN ON YOU MOTHERFUCKERS. Saint Aardvark smiled and nodded. “Great things come from dead things,” said Saint Aardvark. Onward, Friday; Fun Day, rain, last day of preschool, and all. 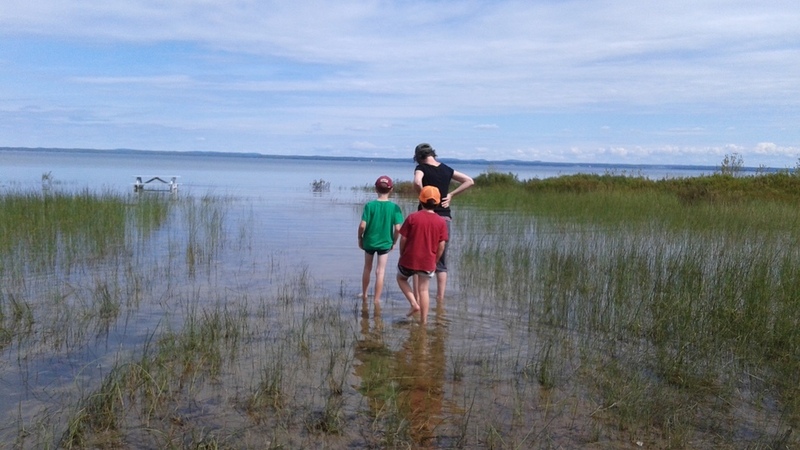 This entry was posted in Uncategorized and tagged bugs, lessons my challenging children taught me, spring (nervous) break (down), the parenthood on June 21, 2013 by branch. I feel like a zamboni is parked on my sinuses. They don’t hurt but they feel heavy; I can breathe but my nose feels dry and angry, and I can’t keep my eyes open. This morning I thought maybe it was the dropping barometric pressure. Forecast has been calling for rain and then moving the call for rain forward a day at a time for a week now. That sentence made little to no sense. Anyway, now it’s been a day and I think I might have the start of a cold. I haven’t had a cold in so long! Like, since we had the flu in late February, I haven’t been sick. I feel like this is a record of some kind. I will have to turn the little shingle on my “74 days since the last cold virus” sign. OK yes, I had nausea from the end of January until early June*, but I haven’t had a cold in forever. I’ll let you know how this all turns out, don’t worry. But now I have to go moan on the couch for a while. * the nausea has mostly cleared up but I’m still going for the ultrasound in July because if you get an appointment for an ultrasound two months after you call, you go for it. I always welcome an opportunity to see inside my body. This entry was posted in Uncategorized and tagged she's whiny when she's sick on June 19, 2013 by branch.